In creating a new definition for psychosis, I contend that we not only consider internal processes operating during psychosis or special message crisis, but also external ones. Though much of the eight-part definition for psychosis I propose is, in fact, internal, the last three components are not. This article is about the first two of these external components which involve studying the external behaviour of message receivers, or retaliation reactions, and the external behaviour of society, or social sanctions. Ultimately, I will argue that by studying behavior openly in group in this manner, we can learn to reinforce the message receiver’s learned behavior of suppressing evidence of messages to the public. Crediting the message receiver for things they already do helps build trust and safety that can ultimately aid in developing strategic social skills that can help message receivers make relationships with tormenters. The development of these social skills I jargonize as nine social skills. To teach nine social skills a supporter needs to conspire with the message receiver and learn what those unique skills might be. For recovery to happen, message receiver will need this nine-social-skill concept to promote social rehabilitation relationships with people who would otherwise torment them. I will argue that what is most needed for a behavioral recovery is supportive places where message receivers can strategize developing nine social skills. I will share the nine skills I have selected for myself. It is my contention that if treatment providers and family members learn some of the lessons that come up in group, they would be able to better support healing in individual interactions with message receivers. Thus, I will contend that studying different types of behavior via reading this article is helpful not only for message receivers but also for supporters. I believe that having message receivers identify the actions they have committed that has gotten them punished in the mental health system is very important. However, in most cases the discussion of social sanctions is needed first. Consider that it is easier to complain about the ridiculous treatment that you received than it is to own what you did to bring it about. Message receivers are often used to having responsibility imposed on them. It is wise not to replicate this in creating a safe healing environment. Thus, retaliation reactions and social sanctions often need to be studied in unison. The definition of retaliation reactions is important to review. Retaliation reactions means acting as if your special messages and especially your divergent view are true. Thus, in a fluid story, using the previously discussed solution of message mindfulness, the articulation of the special message experiences and divergent view thoughts might be necessary. From the story telling process, the leader might have to extract the retaliation reaction behaviors in a normalizing shame-busting manner. Thus, peers can relate telling their stories and consider the actions they did that started the process. Talking in codes so that the people broadcasting your life on TV won’t be able to understand what you mean. Treating someone in a way you wouldn’t otherwise. Crossing against the traffic to make a statement. One can imagine how bringing up these behaviours provokes larger stories. At times, the action on the part of the message receiver can be very minute; but identifying and acknowledging involuntary actions that led up to being punished is healing and fosters responsibility and discernment that can reduce a sense of trauma. Having peers or supporters bare witness to the suffers perception of what they did and how it relates back to special messages and divergent views can be very eye-opening. What was the message receiver experiencing and thinking at the time and how was their behaviour misunderstood? If they did have violent behaviour, did the punishment fit the crime? How did the fact that they were identified as mentally ill message receivers affect the society’s system of justice towards the deed? What were the positives and negatives of the process? Creating a warm environment where these kinds of questions are weighed, makes for a restorative justice experience. It might be very healing just to have the message receiver’s version of events considered. I have witnessed that it can be very challenging for some supporters to let the story be told without saying something that will cause the message receiver to be punished again. Thus, I urge facilitators to maintain unconditional positive regard and to normalize reactions by being able to identify times they’ve acted in ways that are less than admirable. Indeed, participants will feel invited to share if the leader shares. Many participants may wait to see if they will be punished for sharing before they take the plunge. Though some may object to the idea that treatment is punishment, I have observed that most message receivers I work with see it this way. Even when voluntary participants are complicit with treatment and report good outcomes, there might still be an invisible process of institutionalization that influences them. Additionally, compliant clients have observed non-compliant clients and can stand to reflect on that. Even if this doesn’t tip the scale, most message receivers can relate to a sense of being punished that happens in interpersonal relationships in the community. As mentioned in the last section, the sense of punishment needs to be brought up to get the message receiver to identify what they did to bring on punishment. The group facilitator is wise to assess for the experience of traumatic recall as the stories are retold. The facilitator might consider strategies such as starting and ending with a grounding exercise, encouraging participants to be aware of the pain in their bodies, and warning participants to use discernment in deciding the full extent of the details to include. However, I tend to verbally presume that message receivers are tough and can handle these talks. I not only consider this as a way of setting a brave tone for the group, but I have also witnessed that message receivers tend to experience relief and that normal observers or trainees are the ones who get traumatized. As a result, I start the group, generous with details of my story to set the tone for sharing. I often talk about how I used to struggle with dealing with these details but have learned to share with practice and that I find the process to have significantly helped me. With the story, I bounce between retaliation reactions and social sanctions simultaneously as the details are often fluid in the play by play recount. When message receivers get to the point where they can review and identify the punishments and the behaviour that led to them, a lot of healing can result. Reviewing the consequences of retaliation reactions seems to help many message receivers gain acceptance of traumatic content. Starting the Behavioral Solution Process by Proving that the Social Sanction was Unjust! Message receivers can often be observed experimenting with getting away with retaliation reactions to try to establish safety. When this is observed, know that it is a very important test! I believe if message receivers are provided with safety and support, particularly in a group or a supportive community, they will halt this retaliation reaction behaviour in the community and everyone will be happier. But before this happens, they may need to establish that the punishment of what they went through was unjust by establishing a relationship where their retaliation reaction is accepted, though, perhaps toned down. Sometimes mirroring the retaliation reaction behaviour and accepting it, may lead message receivers towards a path of disclosure that might one day lead to a sense of safety. However, that is not to say that many message receivers may have a provocative tendency to stay quiet when they are invited to share and to share when it is inappropriate and not safe. In safe treatment this needs to be allowed. It needs to be acknowledged that this is a trust test. I like to celebrate retaliation reaction behaviour with mirroring and humour. I qualify these comments on managing social sanctions with acknowledging that these stories may be hard for supporters to hear. It is true, in my opinion, that too often they go invisible and the stories of treatment providers or family members rule the day. That’s why I argue that it is a service to get these stories out in a group. In preparing to review solution behaviours that involve nine social skills and forming relationships with tormenters, I am learning late in the game that it is valuable to study behaviour that message receivers arrive at to avoid trouble. This may be behaviour that scared participants exhibit at the beginning of a group process. Learned behaviours evade trouble but neglect the need for genuine relationships. 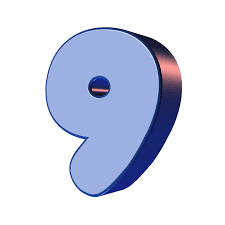 In doing this message receivers will also need nine social skills to approach people who are punishing them, gain acceptance and correct the wrong being done. It is true that message receivers are a diverse group of people and it is hard to generalize. People with positive message experiences or a strong counter-cultural affiliation may vary in their sense of utter alienation and need to connect with perceived punishers. But still, I believe that recovering message receivers must learn to pay lip service to consensus reality and therefore will hesitate to share their genuine selves in a group. They may be particularly challenged with the task of studying behaviour and on being mindful of special messages and divergent views. Thus, listing learned behaviours that message receivers have can be key to unlocking stories of social sanctions and retaliation reactions. Indeed, listing learned behaviours also may convince participants to be more mindful of their message experience and divergent process in general. The point of highlighting learned behaviours says they are valuable and necessary for survival, but in another sense, it is a way of designating that it is safe here, that we can communicate in a way so that retaliation reactions won’t be dealt with the same way they were before. In yet another sense, identifying learned behaviours is a way of sharing all the old tricks and highlighting the inherent stupidity of the way message receivers have been treated in the system that has worked to silence them. It is an invitation to share amid a culture of like-minded people and explore forming social relationships with people regardless of the fact the culture has been treated like untouchable outcasts. It is readying the message receiver to enter a slow steady movement of resistance that will enable them to penetrate normal enclaves and operate within them to create a social rehabilitation which can sustain the message receiver in society. we can’t talk about our divergent views without going to the hospital. we can’t trust other people who have message experiences, they are crazy and will burn us or ask for money and cigarettes. It is my contention that forming social relationships with chronically-normal people who might stigmatize us is necessary for social rehabilitation. Whether this is done through work, a consumer organization, a treatment team, or an activity focused meet-up social group, message receivers need to form relationships with people who can help them avoid the streets. To do this, they may have to practice social skills not only that are specific for message receivers but that are also particular for themselves. These social skills might not be the same as social skills that normals need to get ahead. When I first started to work through identifying these skills, I tried to make them universal for all message receivers. However, I have been blessed with the opportunity to work in diverse circumstances and have come to see that my efforts are more personal and applying mostly to me and the self-directed life I have chosen. Thus, I suggest that message receivers create their own set of skills that work for them. Some of the nine skills I might utilize might work for some, but not for others. These are skills that can help someone climb up and out of the hole that mental health treatment, poverty, or internalized stigma has dug for them. I learned from a great many consequences for the retaliation reactions I committed. While I had to suppress a lot, I needed to consider the consequences of committing retaliation reaction behaviour, so I didn’t lose the cultural capital gains I had made. This is made easier when it can be established that the punishment is unjust. I was lucky to learn along the way how to be a professional counsellor. I had to learn to play that role on a regular basis despite a huge amount of ridicule and disrespect. I consider these bitter customer service skills that are ways of putting a tormentor on a pedestal no matter how ridiculously unjust the world is. It involves asking each rude customer if they would like a fork and knife (forkin knife) or a free piece of chocolate on you. I didn’t have any genuine relationships for two years and needed to tolerate a great deal of abuse. So, I extended relationship efforts with many people that I had no use for, just so I wouldn’t be alone. Appropriate Skill #6: Make multi-cultural efforts to respect the Romans when in Rome. When my parents divorced I eventually realized there was no way to win: I started to act like my mother in front of Dad; and my father in front of Mom. I learned to have fun with this in multiple contexts. When there is no hope for avoiding persecution, we may learn to do this. But we must learn to vigilantly check this behaviour when we are trying to build social support. Penetrate multiple cultural enclaves and participate even if you are persecuted for different reasons. Keep on moving and you will meet people in different contexts. I try to do this because I know I wear my heart on my sleeve and it is a way of killing the normal with kindness. I like to think supporters who work with specific message receivers and get to know them well enough to understand their learned behaviours to the point where they can help message receivers construct skills that will help them make genuine human relationships with the people who represent psychiatric and other forms oppression to them. Some may need to do this with oppressive voices. They are going to have to do it sometime. Of course, this really depends on the culture that surrounds the person and their experience of being punished and getting treatment. In many ways, the solution of using social skills in recovery from special message crisis requires understanding that retaliation reactions and social sanctions are both wrong ways to behave. Institutionalized message receivers know much better than most that they must submit to normal ideas and expectations. They may not know that recovery is even possible. It is skills that enable message receivers to suppress these experiences, keep them private and create relationships that one day might become of use to them that is necessary. Those skills need to be seen and acknowledged. Then, there needs to be a conspiracy started that can dupe the ignorant majority. However, the message to supporters, providers and peer counsellors needs to be that social sanctions really damage the important skill of message mindfulness. Treatment needs to find new ways of managing retaliation reactions. Acceptance, mirroring, and perhaps toning it down is so needed. The same old punitive treatment is not going to help. It may control people, but it does not breed safe environments in which messages can be observed and reflected upon. Treatment needs to conspire with message receivers to teach unique versions of nine social skills. And really, as it stands now, it is up to message receivers to train the supporters how not to punish them. However, it is my belief that message receivers can conspire with each other in support and therapy groups to develop the message mindfulness skills to study the ill behaviour of social sanctions that create institutionalization.